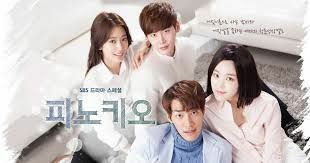 Starting from 19:00, Korean TV drama fans are invited to join the third event of the yearly London Korean Drama Screenings on Thursday 7 May, from 7:00pm. Synopsis: The ‘Pinocchio Syndrome’ is a fictional syndrome that manifests through a systematic hiccup following a lie. In 2000, Ha-myeong Gi (Jong-suk Lee) lives a peaceful life with his parents and his brother Jae-myeong, until the day when her father Ho-sang Gi, a fire department squad leader, suddenly disappears in an explosion at a factory, during a rescue mission which resulted in the death of several men. With his body unfound, the media, and in particular MSC journalist Cha-ok Song, make him the scapegoat for the death of his men whilst spreading the rumor that he is in hiding because of his guilt. Years pass and Ha-myeong becomes a taxi driver, he is now known as Dal-po Choi after being adopted by the grandfather of In-ha Choi (Shin-hye Park), who happens to also be Cha-ok Song’s daughter. Despite his hatred for the media, he develops feelings for In-ha, and to support her in her dream to become a journalist despite her Pinocchio syndrome, decides to follow the same path. 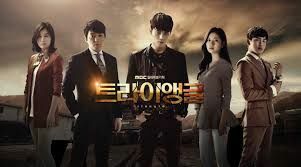 That’s how they end up working for competitor channels, and work with extravagant individuals such as the spoiled and wealthy heir Beom-jo Seo (Young-kwang Kim) who is close to In-ha, and Yu-rae Yun (Yu-bi Lee) who uses his compulsive personality to his advantage when hunting for scoops. Synopsis: Three brothers are separated after their mother disappears and their father dies in a mining accident. They meet again 20 years later, the eldest Dong-su Jang (Beom-soo Lee) now works as a police detective. Hateful of Bok-tae Go, whom he considers responsible for the mine drama, he dedicates his career to catching him, while hopeful to find his brothers he hasn’t seen for two decades. The middle brother Dong-cheol Jang (Jae-joong Kim) is a detention center regular. He grew up on the streets using his fists and willpower to survive, hiding his identity under the name of Yeong-dal Heo, a popular gang leader, known for his bold and brave temper. The youngest, Dong-wu Jang (Si-wan Yim), was adopted by a wealthy family who named him Yang-ha Yun. Now heir to a casino empire, money seems the only thing that matters to him, until the day he meets Jeong-hee Oh (Jin-hee Baek), a commoner who works as a croupier who has also caught the eye of gangster Yeong-dal.